Unseeded Saurav Ghosal beat Egyptian Karim Abdel Gawad in today’s second round of the Qatar PSA World Squash Championship in Doha to become the first Indian in the 36-year history of the PSA World Tour’s premier event to reach the last sixteen. 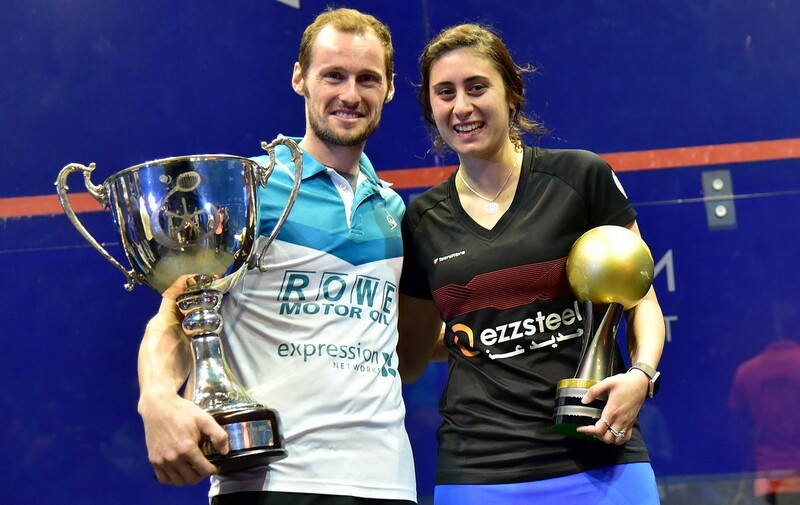 Boasting a $325,000 prize-fund, the second biggest in the sport’s history, the Qatar PSA World Championship is being hosted by Qatar for the third time – following previous stagings in 1998 and 2004 – and is being held at the Khalifa International Tennis & Squash Complex. World No21 Ghosal was facing Gawad – who revealed a heavily-strapped left calf when he came onto the court – for the first time. “Saurav raced to a 2/0 lead,” reported event MC Robert Edwards. 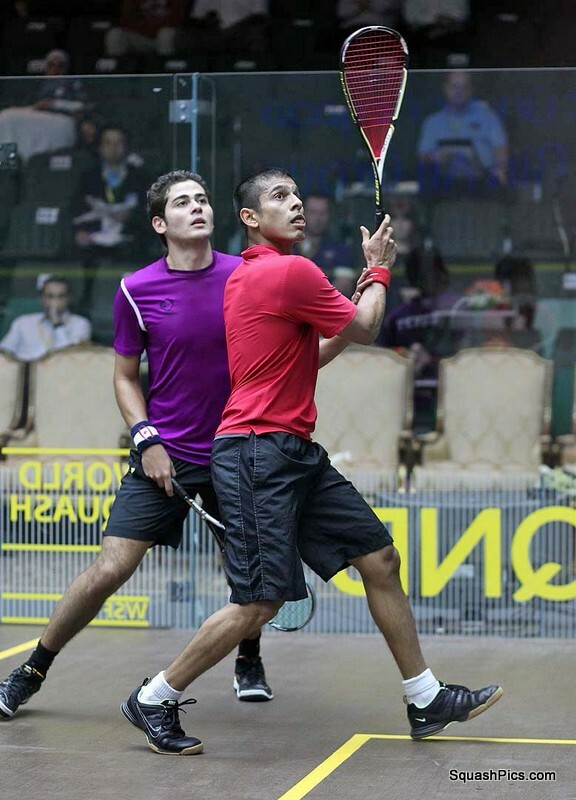 “Gawad showed great skill at the front of the court and occasionally halted Ghosal’s steady progress with some typical Egyptian magic with his short game. The 21-year-old from Cairo explained later that he had felt some pain during his previous match against English seed Tom Richards, but thought it was cramp. Following his 3/2 upset, Gawad went to the local clinic – and was told that there was some fibre damage. “Despite this, he wanted to give himself every chance – because this is the World Championship,” added Edwards. Ghosal was delighted with his historic success: “I’m very proud to be the first Indian to reach the world championship last sixteen,” said the 26-year-old from Kolkata. “Of course, I really hope I can go further in the event! 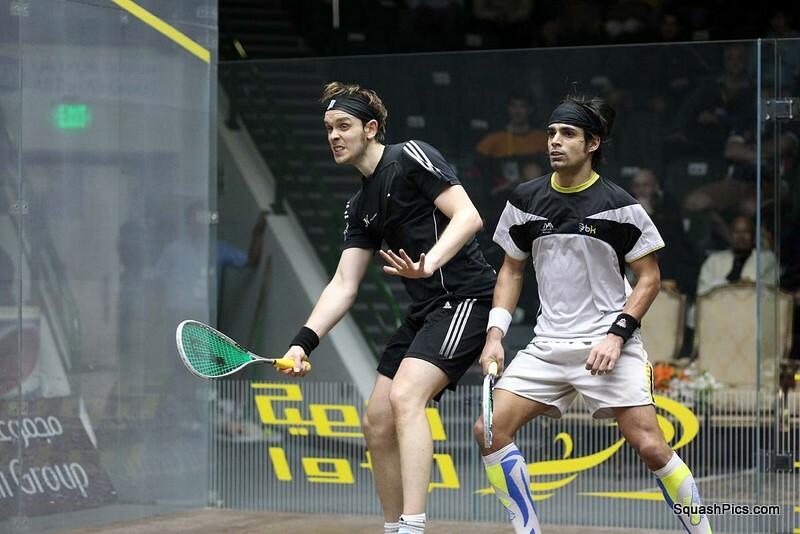 “It is good to see Indian squash doing well – all of us are working extremely hard! 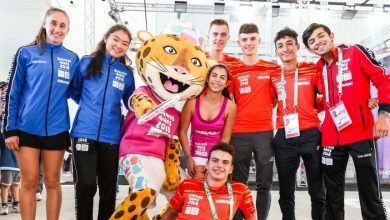 The girls did fantastically well in Nimes (at the women’s world team championships in November) and all the success can only be good for the sport back home. Willstrop, the event’s top seed, took just 26 minutes to despatch Canadian Shawn Delierre 11-2, 11-0, 11-7 on the Khalifa complex’s famous permanently-sited all-glass court. “I started much better than in the first round,” explained Willstrop, the world number one. “I suppose I was always trying to work on that. This time everything worked. It’s what you want to do. It sets the tone (for the tournament). Two of Willstrop’s England team-mates also survived today’s second round. Daryl Selby, the 11th seed from Essex, despatched Egyptian qualifier Omar Abdel Meguid 11-8, 11-9, 11-3 – while London-born Peter Barker, the No6 seed, had to fight back from a game down to overcome rising French star Mathieu Castagnet 2-11, 11-6, 13-11, 11-4 in a match which lasted exactly one hour. “Mathieu is an improving quality player, so I’m pleased to have won,” Barker said later. “I had an injury last week (hamstring) and I’ve not been on court much. I’ve just tried to keep my body fit and tried to rest. 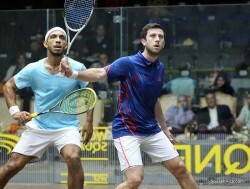 Barker will face Spaniard Borja Golan in Tuesday’s third round, while Selby will take on Egypt’s Karim Darwish. 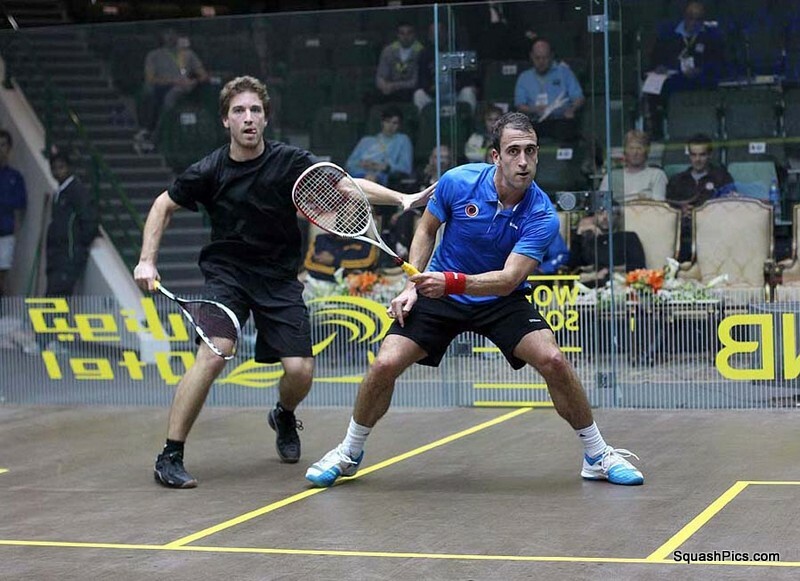 Fourth seed Darwish extended his career-long unbeaten run over Simon Rosner with an 11-5, 11-5, 11-4 win over the German, while 15th seed Golan saw off top-ranked Scot Alan Clyne 11-7, 11-7, 11-7. Australia’s world championship campaign is being led by Cameron Pilley. The 16th seed from New South Wales beat Malaysian Mohd Nafiizwan Adnan 11-3, 11-8, 11-5 and will now line up against Egypt’s No8 seed Mohamed El Shorbagy, an 11-3, 11-9, 12-10 winner over Frenchman Gregoire Marche.